Super Crome: Bullet Purgatory is a shoot ’em up from developer Stumphead Games LLC, currently in early access. As such, this is based on the current state of the game as of the writing of this review. There’s really no story in this game to speak of—it’s all gameplay—so let’s just jump into that. In its current state, Super Crome is about as bare bones as you can get. You have a tutorial mode that teaches you the controls and then the endless mode, where you fight through waves of enemies and bosses to compete for a high score. In terms of mechanics, it’s equally simple. You can move around, shoot, and probably the most unique feature, you can dash through enemy fire. There’s also a few special weapons that have different effects. For example, there’s a charged shot that deals significantly more damage than your regular attack. 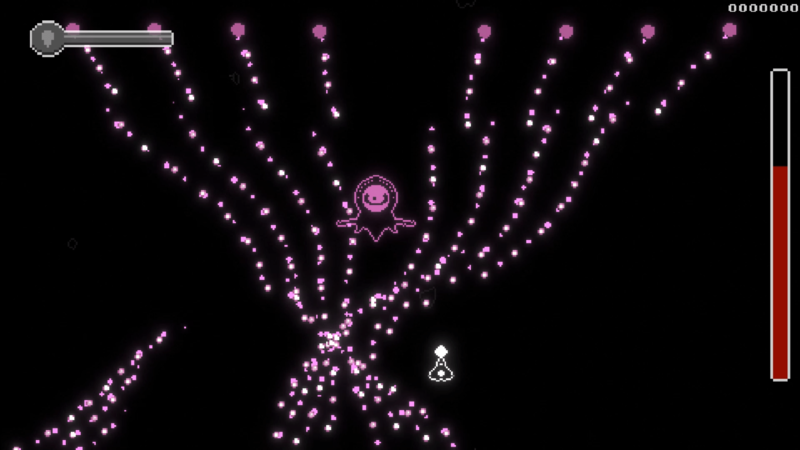 Progression through Endless mode is straightforward; just fight waves of enemies. After a certain number of waves, you encounter a boss. Defeating a boss seems to upgrade your basic shot attack to do more damage. Your special attacks run on a sort of energy system, and you can get refills on them by beating enemies. I have a handful of issues with this system though. First, you run through energy for each special weapon incredibly quickly. The refills you get from enemies also barely give you anything back. The refills are really hard to see, being only a few pixels. They also stay exactly where they were when they dropped out of the enemy, meaning you have to run up to where other enemies are probably hanging out to kill them. 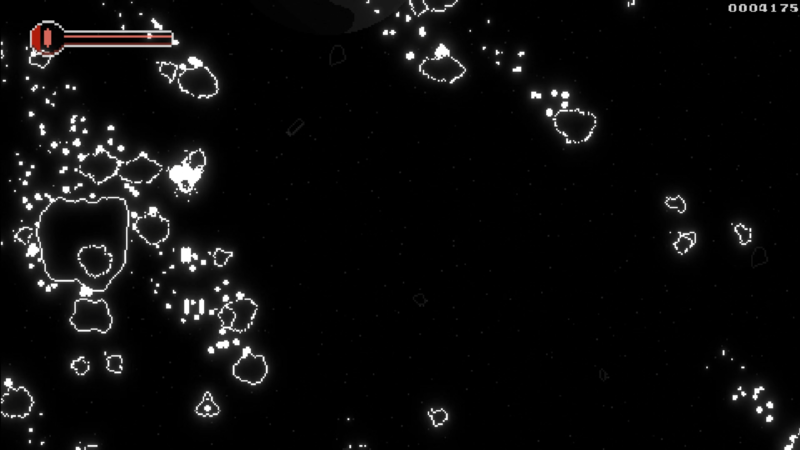 One of the special weapons creates little mini-ships around your ship that stacks on firepower. This is great, only when you dodge through attacks, they don’t have the invincibility you do, meaning you’re not gonna be using them for very long. It just feels like a total waste. The other two abilities are simply ways of doing more damage. Having a dash also feels like an odd choice. Some bullet patterns require dodging through them to survive, whereas others instead require careful movement. Maybe the intention is to force you to choose whether or not you want to dash through something or try to maneuver through it. The game could easily take advantage of having to juggle these two choices, like bullet patterns that require alternating doing both, for example. I’d really appreciate seeing the game take advantage of this mechanic as opposed to it just being a sort of get out of jail free card to use in tricky situations. Visually, the game is not very impressive. The background is a constant black. I suppose this makes for very high contrast that allows for better visibility. It also just makes the game rather boring. 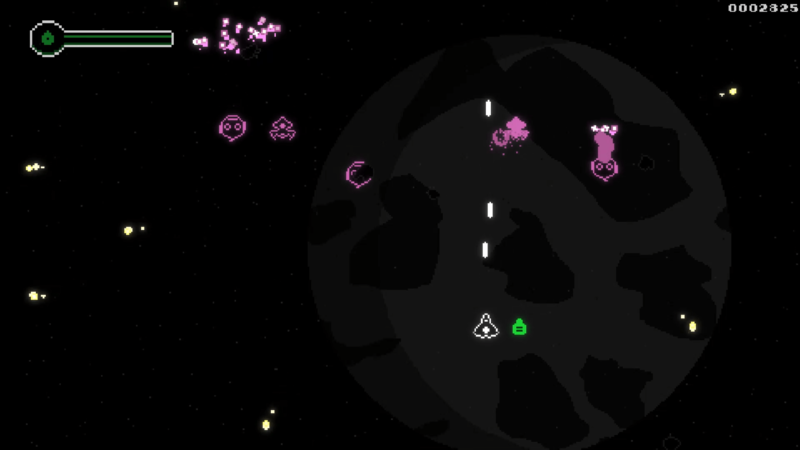 Enemies are also not very interesting visually, though bosses are slightly better. Most enemies are just basic outlines, much like your own ship. The music in this game doesn’t exactly stand out either. 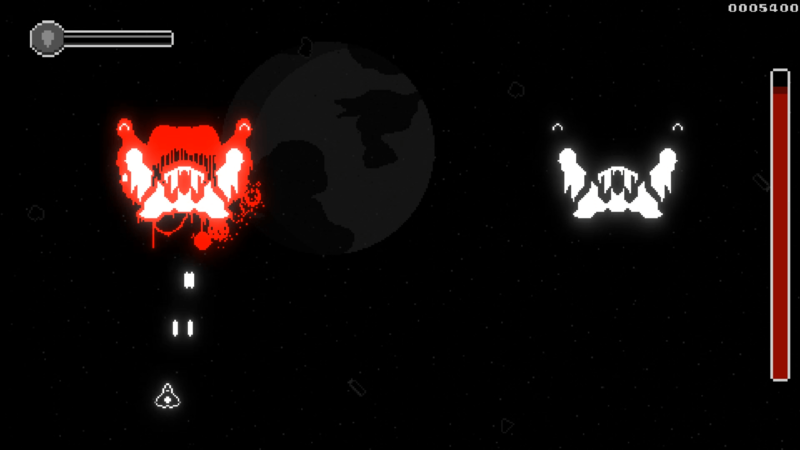 Overall, I don’t think a minimalist approach really fits the shmup genre. They’re generally meant to be about fast-paced action, and this game just doesn’t really have much of that right now. Enemy waves start out as rather lethargic, with the first couple bosses being rather trivial. The first 5-10 minutes are just kinda boring. A game with a slow start doesn’t make me eager to jump back in to try for another high score. There’s just not much to this game right now that I feel would justify a purchase. Going through Endless mode a few times made me feel like I saw most of what this game had to offer. That was less than an hour of playtime. I kept playing just to ensure that I saw everything I could. The one saving grace this game has is that it’s only $2. Still, I feel like it’d be much better to save that for a shmup that’s more robust, at least for now. It’s not like this game plays badly, it controls fine. The things that stand out about it though just happen to be things that make the game less fun to play.